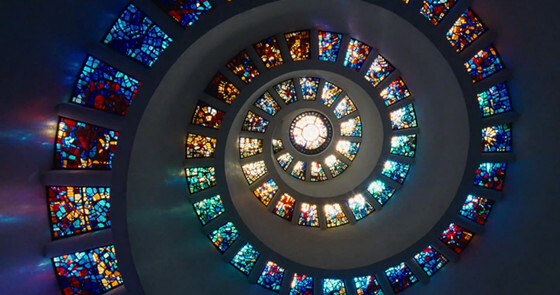 Terrence Malick’s ambition in “The Tree of Life” to capture life itself in all its magnificence and grandeur is comparable to Stanley Kubrick’s “2001: A Space Odyssey”. Special effects supervisor Douglas Trumbull worked on both Malick’s film and Kubrick’s epic journey. Malick’s collaboration with cinematographer Emmanuel Lubezki resulted in a film that stands out as a visually stunning accomplishment uncomparable to anything this century has seen so far. Nowadays, with the rapid advancement of technology, practically anything envisioned can be filmed. We are witnessing an inflation of visually compelling movies. Some of them are great, though many of them lack substance, authenticity, and creative force behind them to inspire awe and stay in our minds. They are simply marvelous to look at, but there is often something that is lacking. Of course, Michelangelo’s “David” couldn’t have been made out of clay. Nevertheless, even if an artist has marble as a material to work with, a skilled craftsmen is needed to produce a masterpiece. Malick’s “marble” is practically everything that surrounds us. He is a director whose talent is rarely matched, and he managed to produce a film that is a success in all aspects of cinematic composition and narration. In order to truly to grasp the wonder that Malick produces, multiple viewings may be necessary. At first viewing, the film may be puzzling and it may seem that it just aims to capture beauty around us, lacking substance or a focal point that keeps the narration together. The idea that ties the whole narration and visuals presented together is its strong connection to spirituality and the Divine; without acknowledging this connection, the viewer may not grasp its grandeur. The beauty of the film, and what makes it different from propaganda, is that the viewer does not have to be a practicing Christian to grasp the nature of the movie. It deals with subjects that are common to all people; the nature of existence, ethical paths to be chosen, the nature of suffering and death, man’s relationship to the Divine; and on the top of it all, the simple and magnificent beauty of everything that is. Malick is a director who likes to gamble when the reception of an audience is concerned. 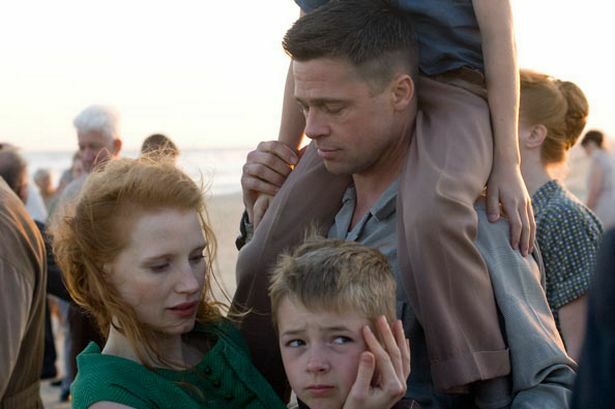 The critics have hailed “The Tree of Life” so far, while the audience reception has been mixed. Malick’s latest gamble, “Knight of Cups”, an artistically experimental Heideggerian journey contemplating the nature of modern existence, didn’t seem to pay off, as far as audience reaction is concerned. Nevertheless, these two movies are siblings in a way, similarly to Bergman’s “Winter Light” and “Silence”. In “Knight of Cups” God is silent and a man must live his life, endure it, without him, while in “The Tree of Life” God is everywhere. The film opens with a passage from the Old Testament, The Book of Job, which reads: “Where were you when I laid the foundations of the earth? … When the morning stars sang together, and all the sons of God shouted for joy?” These verses are the starting point from which the film develops. It cannot be understood without this relationship to the Divine and the awareness of the magnificence of God’s creation, which is Earth and everything that was and is now. When watched from the perspective of modern scientific man, the scenes of Creation, and the universe and prehistoric times may seem beautiful, but they have no higher meaning. Organic beings and planets appear on the screen and vanish, causality is sought, but the point is missed. Only through the eyes that see the universe and Earth as wondrous works of God can these scenes be understood and cherished. One does not necessarily need to be religious to grasp it. Otherwise, they are just pretty visuals, and nothing else. In the Bible, the tree of life is in the middle of the garden of Eden. The reference in the title to this particular symbolism gives meaning to the film as a whole. It may be said that with this movie, Malick attempts to repair the face of God. His pieces are everywhere, in the scenery that is filmed, in the universe that is shown. The mosaic was made from His pieces. The film is the final result of that endeavour. From ancient times, religious thought has aspired to explain the existence in its entirety, and various systems have attempted to do so. 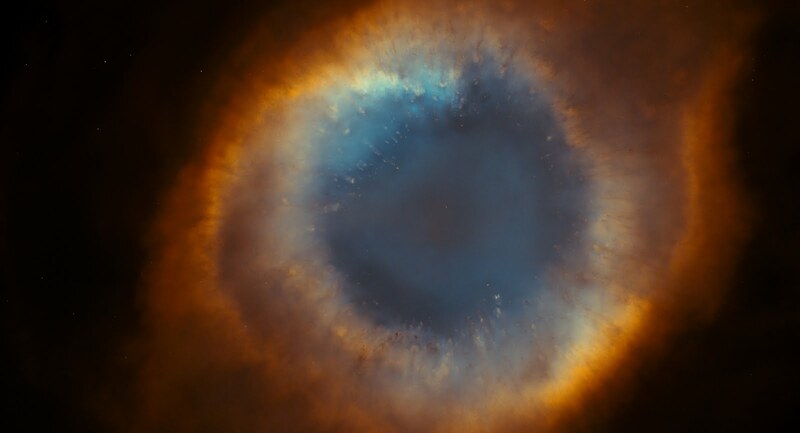 This film tries to grasp the totality of existence in visual form, by showing the flame that was in the beginning and in the end, from which everything came into existence. The marvelous visuals of space, of Creation, and prehistoric times tend to show everything that was, that is and what will be. The film as an art form aspires to be a total artwork in a Wagnerian sense. Through music, picture, and acting, it can aspire to show us everything that is, the totality of our existence, unmasked. Although the film deals with what was before man, its main focus is on the man itself, his aspirations, staggering, suffering, and ultimately death. The film tries to grasp life in its beginning, childhood, which is a constant reference point throughout our lives. Conflicting beliefs, aspiration toward understanding everything around us, all of this is portrayed through visuals that are ethereal and yet deeply concerned with everything that constitutes us as human beings. Religion, greed, and violence are constant themes of American art, and “The Tree of Life” does not really try to avoid them. Ethical beliefs tend to be all-encompassing, to grasp the art of living, and a child’s soul is shown as a battleground in which these attitudes become deeply rooted or do not come to existence at all. At the beginning of the film, Mrs. O’Brien says in a voice-over: “Nature only wants to please itself. Get others to please it too. Likes to lord it over them. To have its own way. It finds reasons to be unhappy when all the world is shining around it. And love is smiling through all things.” According to her, you have to choose if you want to live the way of grace or nature. This is a Kierkegaardian ethical stance, that there are different paths that a human can choose to live, and they are mutually exclusive. The way of nature is portrayed even in prehistoric times, when a dinosaur steps on the head of another one. The waterfalls are beautiful, but give an impression of destructiveness. Mrs. O’Brien represents the path of grace, and her husband the way of nature. The way of nature, as it is portrayed in the film, is the one in which the strong prey on the weak. The relationship between two brothers, where one is sensitive and the other has an aggressive posture, reflects the two paths they start to follow. In Malick’s film “The Thin Red Line”, the way of grace is all but absent, and the way of nature prevails. That is, merciless killing, contrasted with the harmonious life of primitive tribes. Nature is beautiful, but cruel. 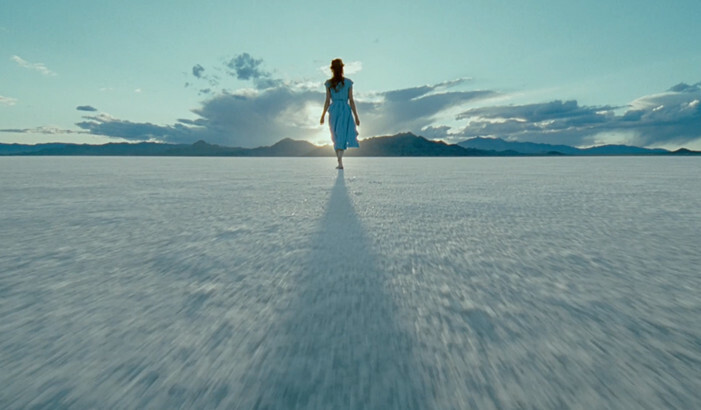 On the other hand, in “The Tree of Life”, beautiful long shots of nature present it as God’s creation. By extensive use of jump cuts, which is unordinary and gives the movie its uniqueness by capturing the film’s moments of sadness and joy, an impression is made of the fleeting nature of such emotions. They come and pass, intimate and tender, they exist only temporarily. Close-ups and extreme close-ups highlight their intimate nature. The story of childhood is not chosen for the film by chance. Its moments of tenderness and rage, disappointment and sadness, all strongly enhance the meaning behind the film’s main theme. At the beginning of the film, when Mrs. O’Brien finds out that her son is dead, her scream of grief is interrupted abruptly (a cross-cut is used) and an airplane running and Mr. O’Brien’s reaction is shown. As opposed to the story of the brothers’ childhood in the setting of nature, the scenes in which Jack is an adult (Sean Penn) show the glass skyscrapers that seem cold and remind audiences of a razor blade. The vast spaces of modern buildings shown in wide shots portray this feeling of distance and seclusion, and they are highly contrasted to the scenes from his childhood. He says that he feels like he is bumping into walls all the time, that he feels alienated, and the scenes in which he is in the desert highlight his loneliness and grief over losing a younger brother.